The last time I had my hair cut and coloured was at Ishi Salon (see here) after having grown it out for a couple years before for our wedding that same year. I found out about Ishi after my first Of One Mind event held at their salon (see here) and I loved the fresh style I got when I gave Craig Kane, my stylist, free reign to do what he thought would suit. Since becoming vegan though, there are a lot of things that you realise you would need to take into account: like finding a new hairdresser that uses vegan friendly products. It was one of those things that never crossed my mind, but when I thought about it, it did make sense. I was using vegan friendly brands for my skin and hair care products, so why wouldn’t I expect the same from my hairdresser services? Luckily, finding local vegan groups help with this dilemma and I quickly made an appointment with Emma Hall Hair Design to get my hair trimmed and re-coloured. I wasn’t sure what to expect from my appointment. 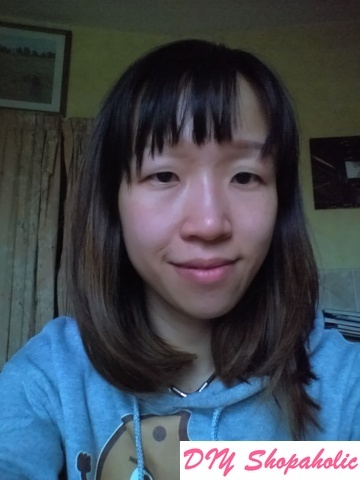 To be honest, I’ve been so used to having my hair cut by the same hairdresser in Hong Kong for about 8 years that I was pretty much apprehensive about whether hairdressers in Edinburgh would really be able to cut and style my hair the way I wanted it done. Since getting my first hair cut in Edinburgh back in 2009, I’ve been jumping between hair studios trying to find a stylist I get along with and was happy to let cut my hair. 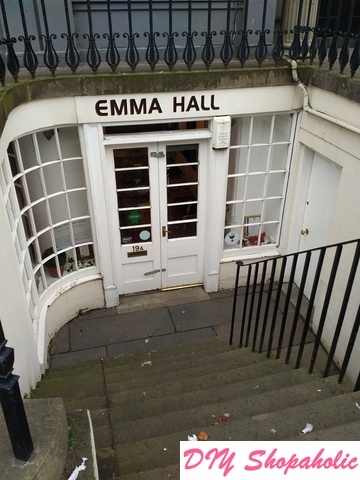 At the top of Leith Walk, Emma Hall Hair Design is in an understated basement shop space. Don’t let the simple exterior fool you into thinking it’s a fuddy duddy place though. Once you go down the stairs and into the door, there’s a welcoming vibe with upbeat music, bright interior and clean open space. I arrived early and was happily reading away at the magazine I brought with me while sipping on a glass of water. They’ve also got teas and coffee or juice if you prefer. With a 9:30am appointment to get my hair cut with ombré colour, I was expecting the studio to be quite quiet but not long after I arrived, a few other customers steadily trickled in. 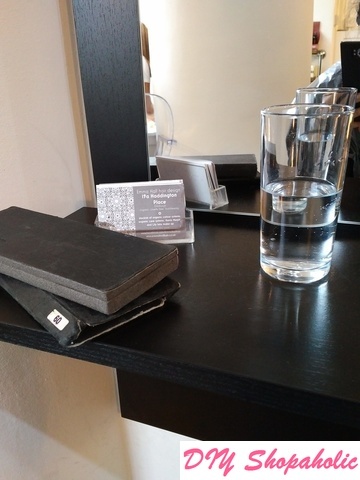 Thinking back, I didn’t pay too much attention at the time, but I realised that the salon didn’t smell like harsh chemicals when I walked through the door. Using only organic and cruelty-free products in the salon, it means that there are only natural smells emanating from the studio and not a trace of strong chemicals. My appointment that day was with Kenneth, one of the Senior Stylists, and from the moment I sat in the chair, I felt instantly at ease. It might seem a bit of a strange thing to do, but I often keep what I want done as general as possible. I know this might mean that if I had something specific in mind about what I want done then I won’t necessarily get it, but I also believe in trusting the professional opinion and expertise of the person whose hands I’m putting myself into. That way, if it turns out well, I know they’re good at what they do. Kenneth was very open and friendly when we talked about what I wanted (to cut my hair a few inches back to shoulder length, trim my fringe and to touch up the ombré colour so it’s less blonde and a bit more natural shade of brown) and he knew exactly what I wanted. 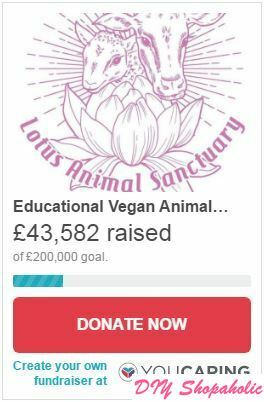 Before we started, I let Kenneth know that I was vegan and would only like vegan-friendly products to be used in my hair and was told that all products used in the salon (apart from 2 that weren’t used on my hair that day) were vegan which was nice to know. Since getting my medium/long bob from Ishi’s, I’ve grown to like this length and that’s the length Kenneth cut my hair to as well. I wasn’t quite sure at first when the dye was applied why my hair needed backcombed, but Kenneth must’ve seen the look of curiosity (maybe incredulity?) on my face on the nest my hair was becoming when I asked for it to be coloured, and he kindly explained that this helped it look better blended in with a more natural graduation, rather than a straight line where my natural hair colour ended and the ombré colour started. When I was told that I was going to get my hair coloured first, I was expecting strong chemical smells of ammonia but was pleasantly surprised to find that the hair dye was actually sweet-smelling, like sweeties! After a while, my hair was washed with shampoo that smelled like liquorice and a toner that smelled like strawberry laces was applied to darken the dye slightly (my hair took to the dye quite well and ended up a dark blonde colour which I didn’t really want). I don’t think I’ve ever been in a salon that used products on my hair that made me crave a bag of sweeties, it was definitely a new experience for me! After going back to my chair, I was excited to see how my hair turned out. It was quite difficult to see when my hair was still damp, but the colour did look much more like what I wanted it to be. Kenneth chatted about some of his experiences styling hair (like one client who had dyed her hair dark like mine for years and turned up one day wanting bright turquoise hair) and our mutual interest in tattoos. I was really pleased with what Kenneth was able to do with my hair. 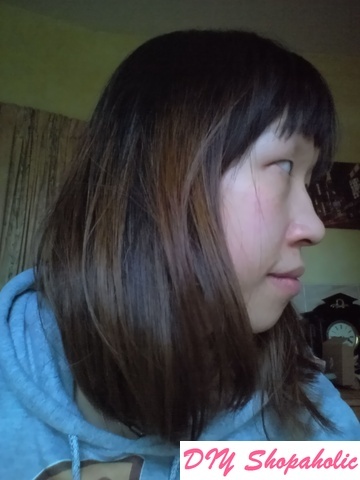 I was under the impression that because of my thick hair, I would end up with a medium-length bob, but Kenneth managed to get some long layers in (I like layers to help thin out my thick hair a bit, but they usually end up as flyaway hair) and gave me a rounded fringe which made it look less blunt than what I previously had. My side part means that my fringe never really stays in place, but so far even after a week since I’ve had my hair done, it’s been staying put quite well. The long layers I’ve got even gives my hair some movement without feeling like a heavy weight. I don’t do much to my hair and normally just give it a quick wash in the morning and let it dry naturally. I’ve got a bit of wavy hair and at this length, it gives my hair a bit of style without really trying. I asked Kenneth if he could start the colour a little bit higher than mid-way just so when it grows out, the colour will look more natural and I really like this rich chocolate-brown colour. I know the blonde that I had before was more of a statement, but I’m not really the kind of girl who likes to say ‘Hey, look at me!’ with my hair or clothes, so this more natural colour is more to my liking. 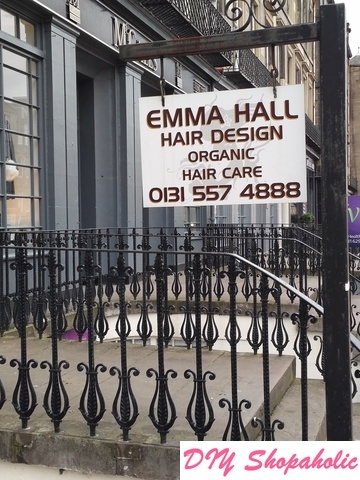 Appointments can be made with Emma Hall Hair Design, the first cruelty-free and organic hair studio in Edinburgh by phoning 0131 557 4888 or booking using their online system here. 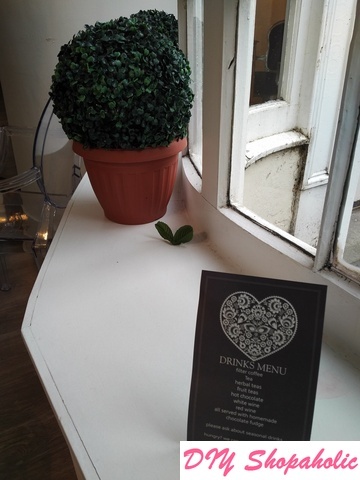 Have you been to Emma Hall Hair Design studios? What did you think of your experience? 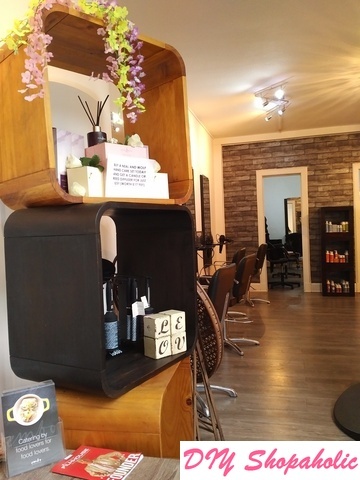 thanks for sharing i havent heard about an organic salon but sounds amaing ​and you rocked it!